New York University Press, 9781479834891, 320pp. Winner of the 2018 Award for Excellence in the Study of Religion in Textual Studies, presented by the American Academy of Religion A new perspective on the role of religion in the work of Langston Hughes Langston's Salvation offers a fascinating exploration into the religious thought of Langston Hughes. Known for his poetry, plays, and social activism, the importance of religion in Hughes' work has historically been ignored or dismissed. This book puts this aspect of Hughes work front and center, placing it into the wider context of twentieth-century American and African American religious cultures. Best brings to life the religious orientation of Hughes work, illuminating how this powerful figure helped to expand the definition of African American religion during this time. Best argues that contrary to popular perception, Hughes was neither an avowed atheist nor unconcerned with religious matters. He demonstrates that Hughes' religious writing helps to situate him and other black writers as important participants in a broader national discussion about race and religion in America. 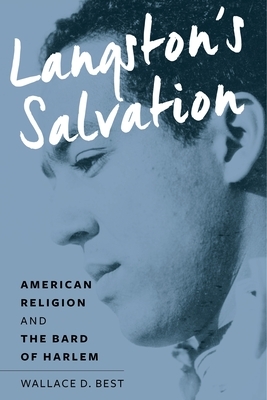 Through a rigorous analysis that includes attention to Hughes's unpublished religious poems, Langston's Salvation reveals new insights into Hughes's body of work, and demonstrates that while Hughes is seen as one of the most important voices of the Harlem Renaissance, his writing also needs to be understood within the context of twentieth-century American religious liberalism and of the larger modernist movement. Combining historical and literary analyses with biographical explorations of Langston Hughes as a writer and individual, Langston's Salvation opens a space to read Langston Hughes' writing religiously, in order to fully understand the writer and the world he inhabited.